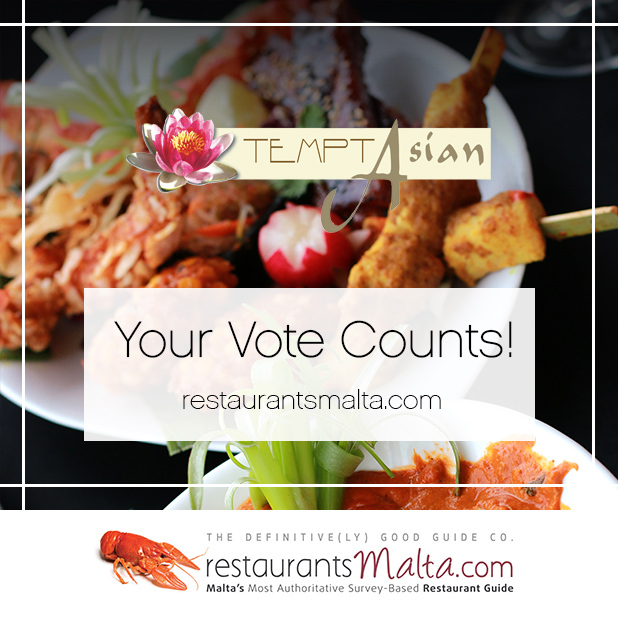 Restaurantsmalta.com survey gathers votes every year from restaurant goers to award a number of restaurants for their service, ambiance, and food amongst other criteria. Have we ever exceeded your expectations? If you feel that TemptAsian deserves an award, submit your vote TemptAsian now! Thank you ?